Definition at line 9 of file strings.c. Referenced by assert_invariants(), and string_new(). Definition at line 10 of file strings.c. 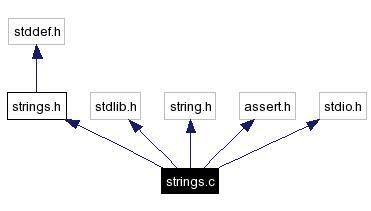 Definition at line 11 of file strings.c. References string::capacity, i, JAM_STRING_MAGIC, string::magic, string::opt, string::size, and string::value. Referenced by string_append(), string_append_range(), string_back(), string_free(), string_new(), string_reserve(), and string_truncate(). Definition at line 77 of file strings.c. References string::capacity, string::size, string_reserve_internal(), and string::value. Referenced by string_append(), and string_append_range(). Definition at line 49 of file strings.c. References string::capacity, JAM_STRING_MAGIC_SIZE, string::magic, string::opt, and string::value. Referenced by extend_full(), and string_reserve().